Melbourne takes the initiative and creates a first-in-Australia resilience strategy: what does that mean for other cities and towns? There are cities and there are cities. Comparing cities is rarely particularly meaningful. Even so, we like to do it and we like rankings and categories and all kinds of things that make distinctions about cities. But I am not convinced these classifications stand up to much of their claims. While rankings can be an interesting and revealing read; from the ‘best cities’ rankings like these produced by the Intelligence Unit at The Economist, to rankings that the National League of Cities (USA) produces, through to rankings such as the Quality of Living Rankings by Mercer and many others, the simple fact is that cities each have unique histories and did not start life as part of some formal competition. I love Paris and so do millions of other people. Apparently over 30 million visitors per year feel the same attraction. But then there are other places too which are easy to like. Ranking, categorising, benchmarking, and sorting cities into categories makes sense in that we make sense of the world by using some forms of sorting information. 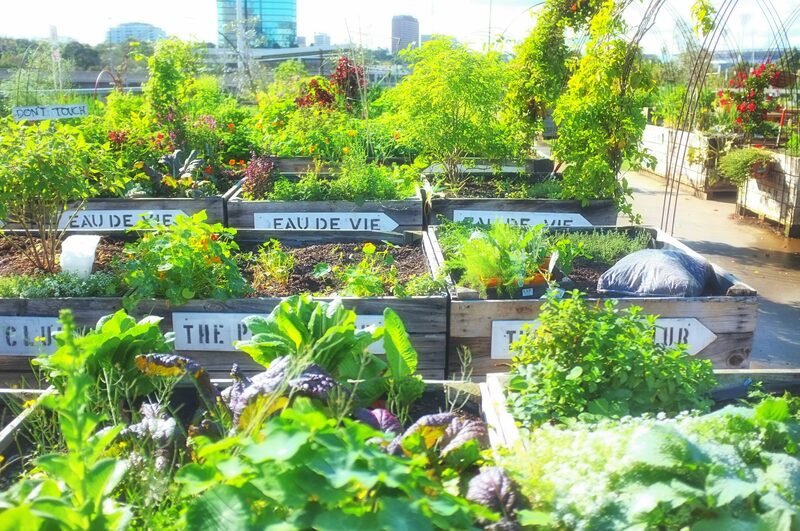 Urban food growing is part of the city future: like this Pop Up Veggie Patch in Melbourne. However, looking into the merits of categories we apply to cities, we do see value when the criteria is very specific. Like city resilience, borne out of the 100 Resilient Cities initiative pioneered by the Rockefeller Foundation. No need to further applaud the initiative as its smart idea has been praised abundantly over the few years since its launch. In a decade’s time its true value will become even clearer given the economic, socio-economic, political and environmental impact it will have globally. It is now very clear that the network of 100 cities which took initiative to compete for the 1 million dollars in funding awarded by the Rockefeller Foundation in what has proved to be highly competitive process, will reap massive returns on their outlay. Frankly, it is hard to find a better investment. One million dollars is not a large amount for a lot of cities that have become part of the network. However, in using the funding smartly to craft a resilience strategy for their cities they have created conditions for business investment that previously were not there. There is an ever increasing demand on business globally to be smart when investing by considering factors that make cities both vulnerable and resilient. Cities that make an effort to be resilient by being specific and transparent can add a lot of competitive advantage. And that is the key to a resilient city strategy. Making a city, and its people, better prepared to cope and recover from a diverse range of disruptive forces provides confidence to anyone who wants to visit or do business with it. Cities that do things with resilience in mind will also lower the cost of business and living in general. That is why the recent launch of Resilient Melbourne is significant in Australia. Sydney will follow next year with its own resilience strategy. And that is as far as it goes in Australia. No other city has been successful in joining the global network. Other cities would be naive to sit and wait for another opportunity to get funding to kick-start a resilience program. However there is an opportunity now for other Australian cities to take the initiative and join the global movement by investing in resilience. They could talk to Melbourne and Sydney and learn from them. This is not just about capital cities. Far from it. Many cities in the 100 Resilient Cities network are small regional centres that displayed the same quality of vision as the administrators of mega cities such as of New York. The first city in Europe that designed a city resilience strategy is a small Danish town called Vejle – it is the size of Port Phillip. .
Obviously the Rockefeller Foundation grasped the importance of creating a network that is not only about big and powerful cities. The idea is to create a culture of resilience globally where every city, regardless of its size, thinks about its future differently. Resilience is about the long term prosperity of a city and as such is difficult to implement. The long term game though is vital for cities that want to be relevant. This is important for a whole host of reasons; the most obvious being the fact that humankind now lives predominantly in urban environments. The city is the principle place of economic and social development. As the Brookings Institute points out, between 2000 and 2013 the majority (almost 60pc) of jobs created in the OECD space were in metropolitan areas. This fact alone tells us a lot: cities will grow and with that comes pressure. It is against that background that cities have to integrate resilience; not like some kind of rescue plan when things go wrong, but as part of city culture. Residents of any city must feel that they have what it takes to be resilient despite inevitable disruptions; be they natural disasters, public health or a cyber related disruptions, socio-economic disturbances borne out of a lack of inclusiveness and equality, or economically driven crises. As Judith Rodin, the CEO of Rockefeller Foundation, says in her book The Resilience Dividend; “when cities and populations are overburdened, chronic stressors grow and can reach a tipping or a crisis point”. This reminds me a bit of the fine print on the prominent TV advertisement for a super fund here in Australia which states in the fine print that its past performance is not an indicator of its future performance. City resilience is about the fine print. City leaders entrusted to guide cities need to engage with people and craft a future where prosperity is measured not in numbers of skyscrapers alone.